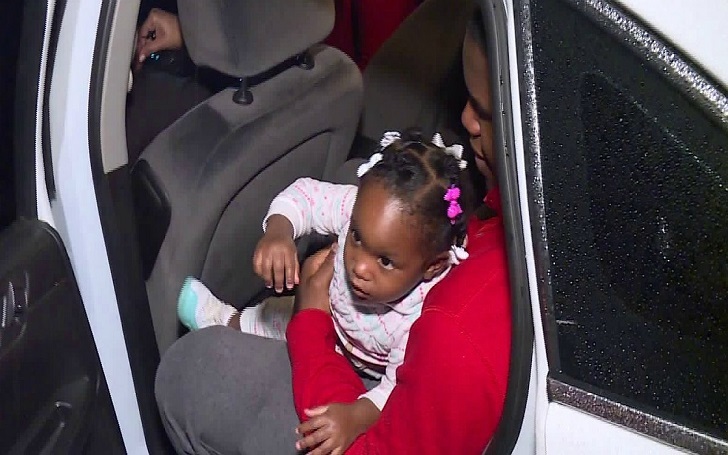 A group of nurses paid a bond of a father who was arrested for multiple traffic violations while he was racing his 1-year-old daughter to the Touchette Regional Hospital in Centreville, Illinois. According to KTVI, Darius Hinkle, was traveling at a speed of more than 100 mph after his the baby girl choked on a penny. He told the station, "The first thing in my mind was to get her to the hospital." When Darius, his wife and daughter arrived at the hospital, police were waiting for him to take into custody. Nurses are SO awesome! And I am not just saying that because I AM one! As per the report, the dad admitted of not having a valid driver's license. The daughter was treated at the hospital and since been released. She is now in good condition. KTVI reported that when the mother got to the jail where her husband was being held, another woman was already there to bond him out of the prison. Donecia Pittman told the station that the woman said that she was the nurse from Touchette hospital." The hospital confirmed to the station that the nurses bonded Darius out. The amount paid wasn't immediately clear. The dad said, "I can't thank them enough."